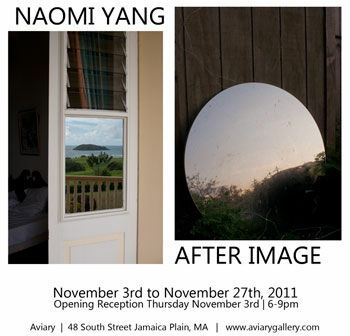 [/caption]To coincide with the launch of Damon's book Afterimage which features photos by Naomi the Aviary Gallery in Jamaica Plain, MA is exhibiting a selection of Naomi's photographs. There is an opening reception on the 3rd of November from 6-9pm and the closing reception, on November 20th will also be the official book launch. Many of my still photographs are taken during travels, for music or otherwise. I am drawn toward combinations of natural and artificial light, and often find images at sunset or magic hour -- a good time of day for a touring musician to steal away time for other work, since it tends to fall between soundcheck and showtime! 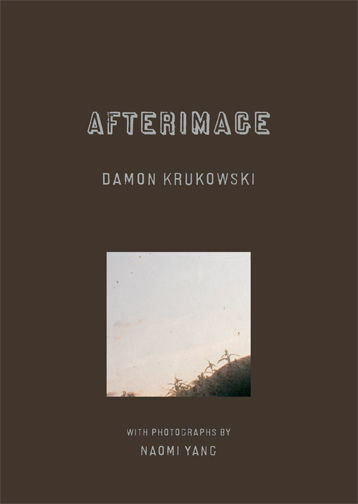 Afterimage is the testimonial of a survivor's son. A hybrid work—part treatise, part memoir, part lyric—the text thinks through a problem prompted by confusions between the author's imagination and his father's history: "Do we only tell each other's stories? Ask others to tell our own? Can we tell our own? Or is that what stories are for—to tell someone else's, and allow another to tell yours?"